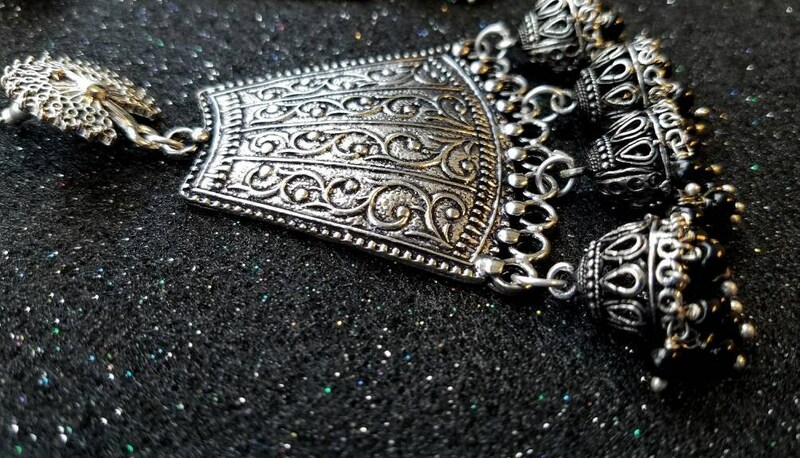 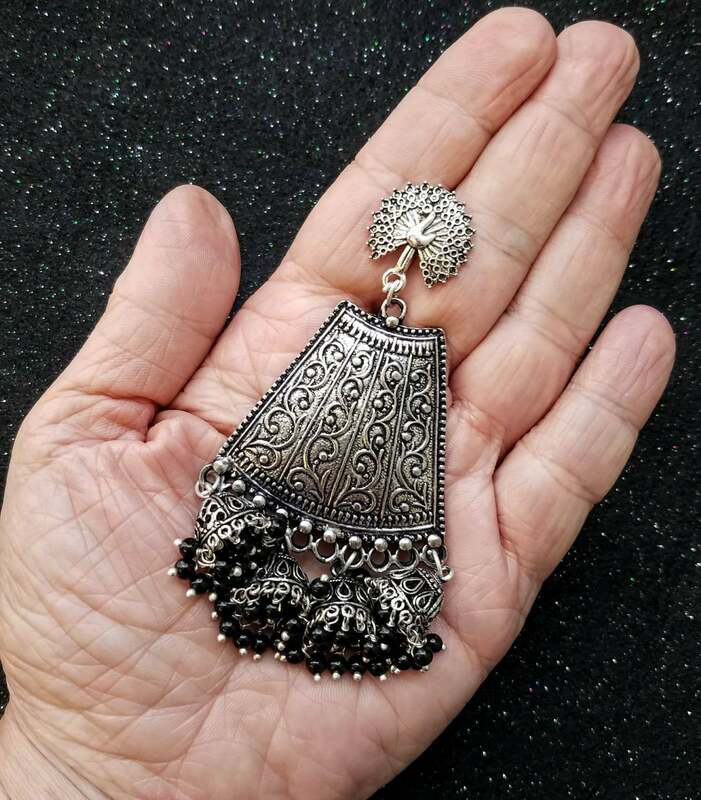 Unique handcrafted Indian jhumka earrings, in oxidized or blackened silver, so as to give the patina of a vintage tribal piece. 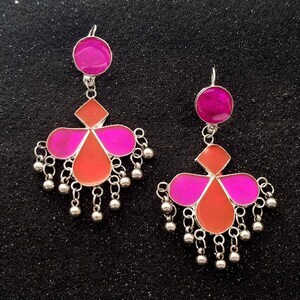 Unique and eye catching shape! 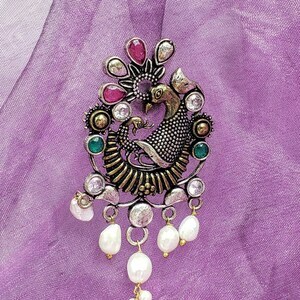 Twirling Vertical vines and the triangular shape draw your eye up to the peacock, who crowns the earrings in his full glory. 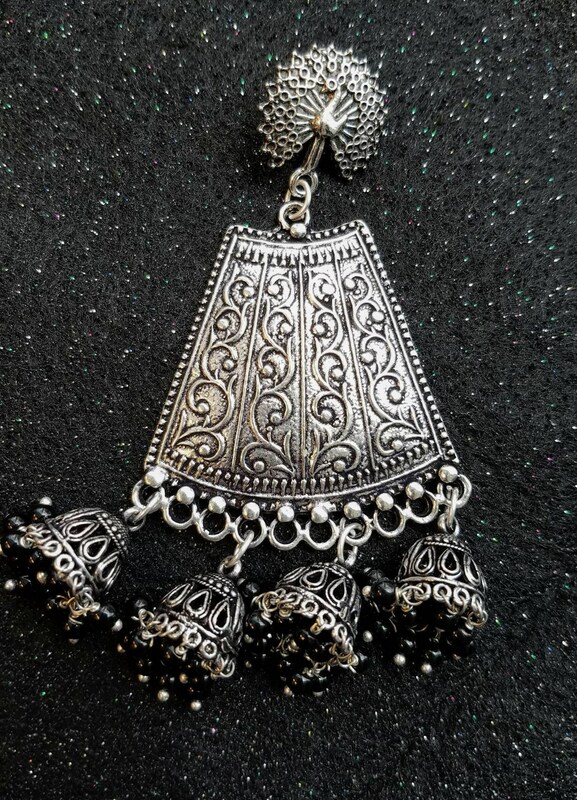 Dangly Jhumka bells with filigree work and black bead fringe along the edge. 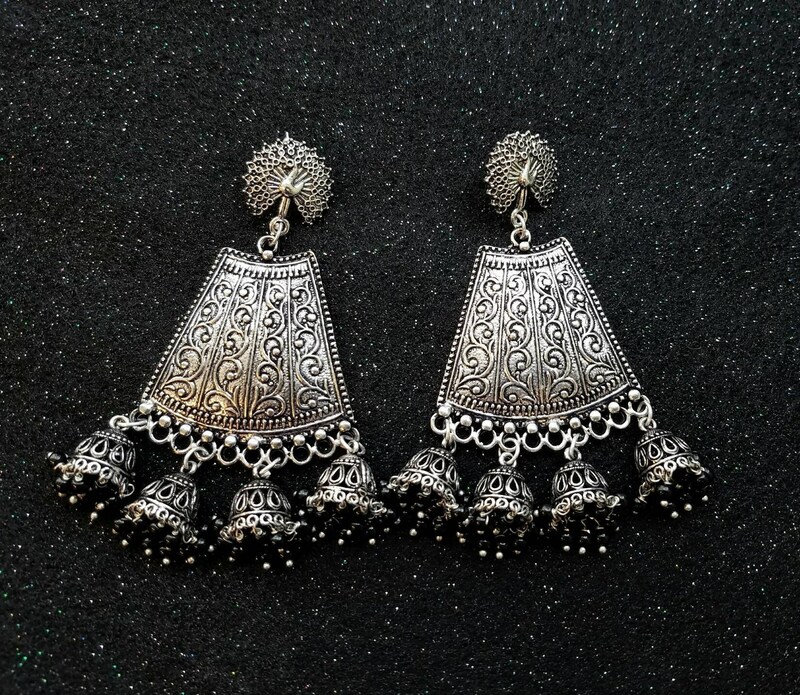 Jhumka refers to the bell shaped earring design of India. 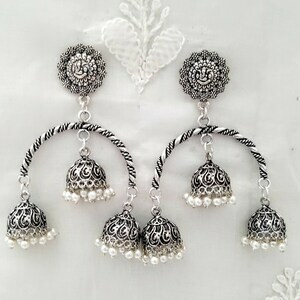 They are prized for their look and for the soft jingling sound they make when you move your head. 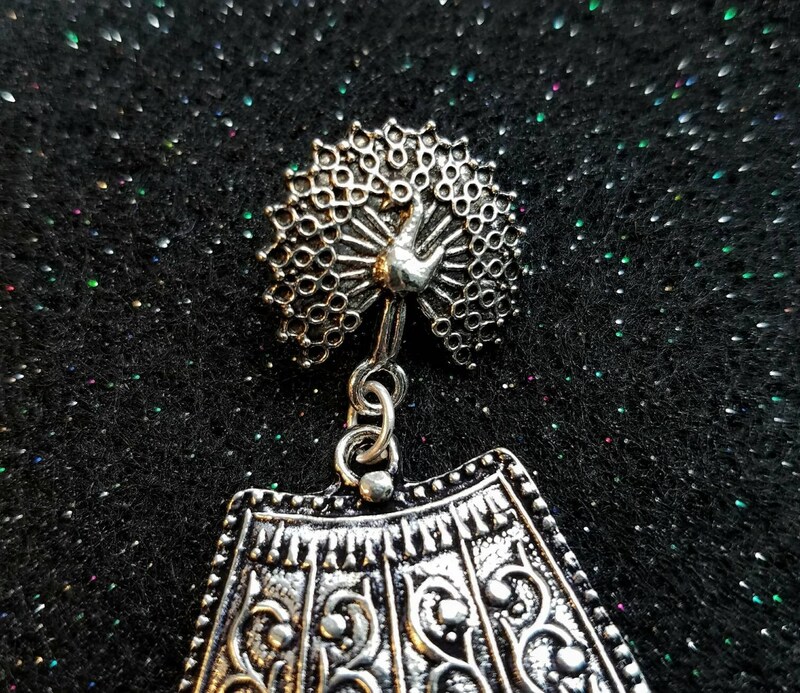 A bit on the heavier side, weighing 7/8 of an ounce, but comfortable. 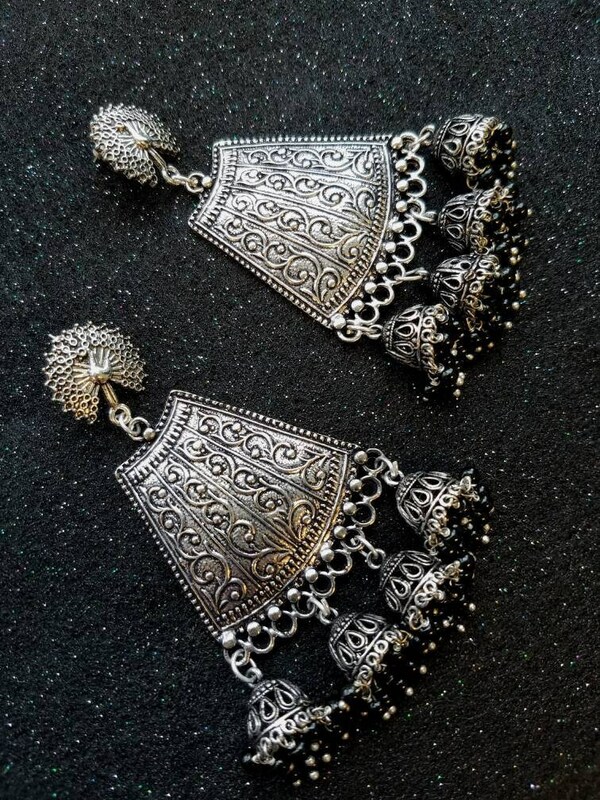 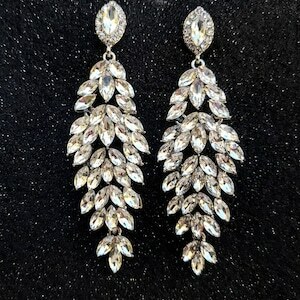 You can wear special earring backings on them behind the earlobe, for support.